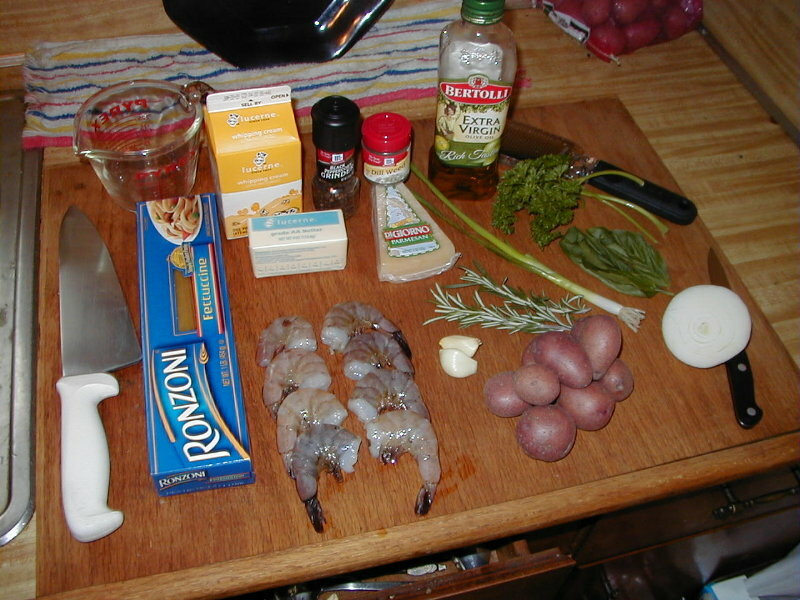 These two things dont really go together, but I want some red potatoes and I have everything I need for the shrimp except the shrimp. Disregard the red potatoes for this recipe...unless you want to make them. 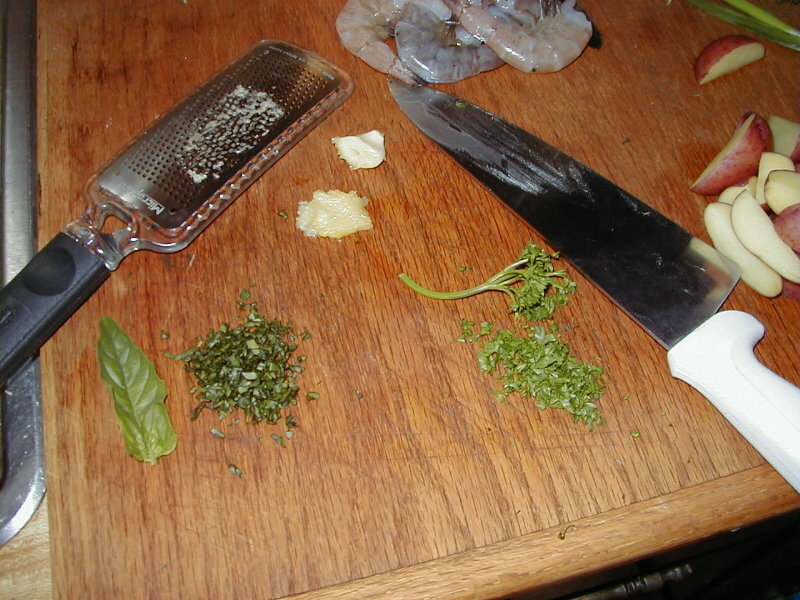 Chop up some parsley and basil and use your parmesan grater to grate up a couple cloves of garlic. Add all that and the butter to your Pyrex measuring cup and microwave it for about 45 seconds to make herbed garlic butter. Peel and de-vein your shrimp, if needed. A made little hearts out of mine. 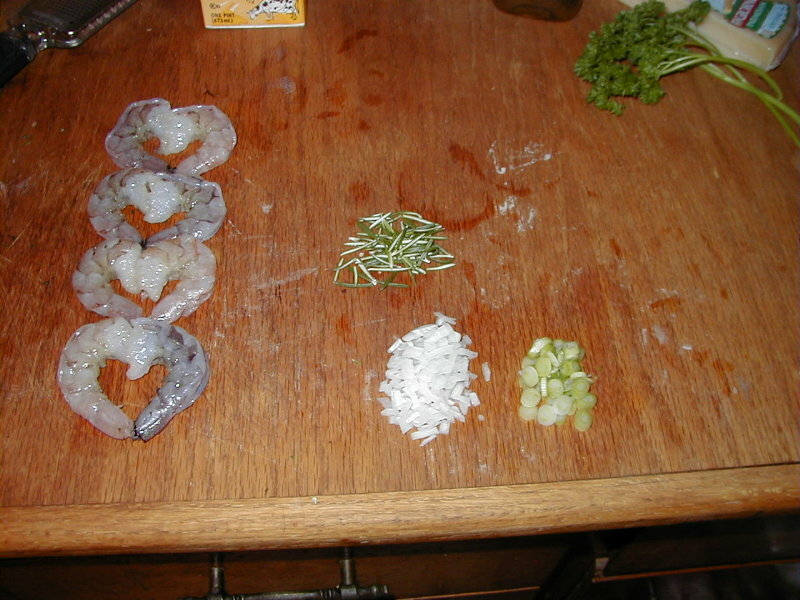 Chop up some green onion and white onion into little bits and pull some leaves off of the rosemary. 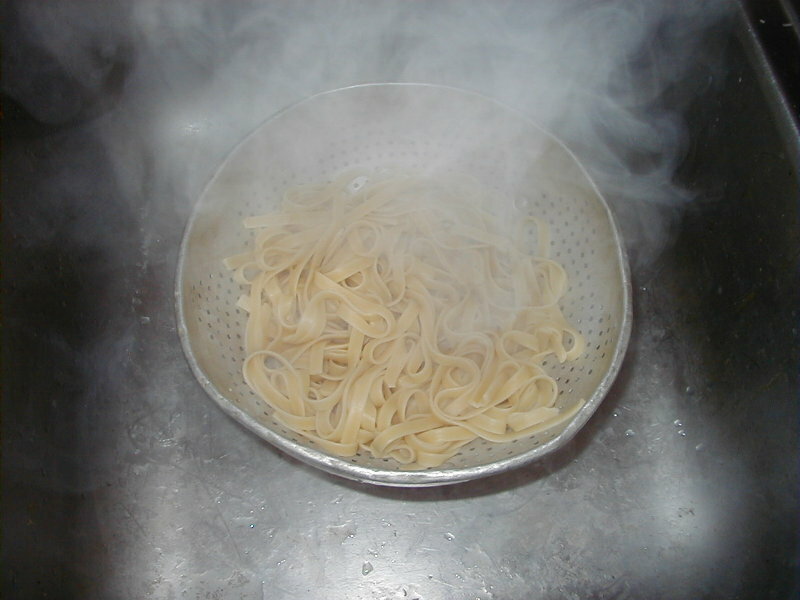 Start some water boiling and add your fettuccine to it. 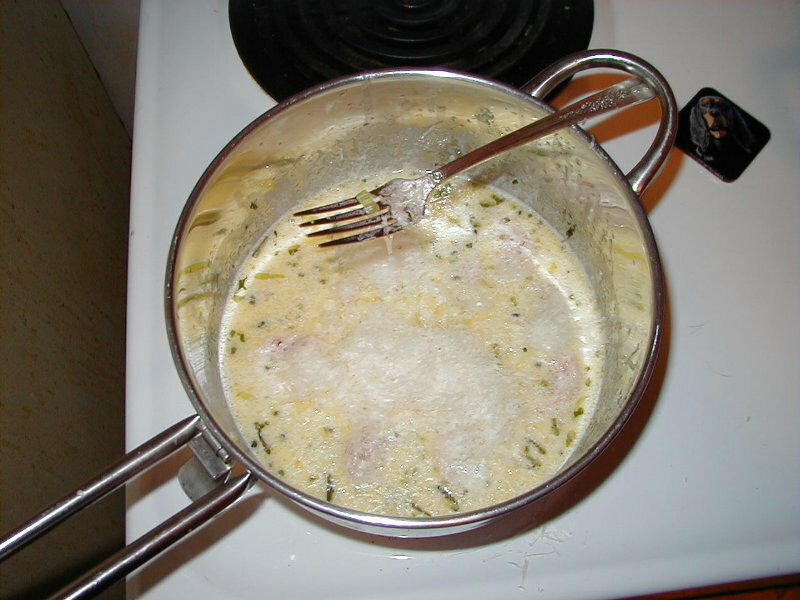 Take the butter from the Pyrex cup and put it in a saucepan and reheat it over a very low heat. Add the green onions, white onions, and rosemary and saute for a couple minutes. 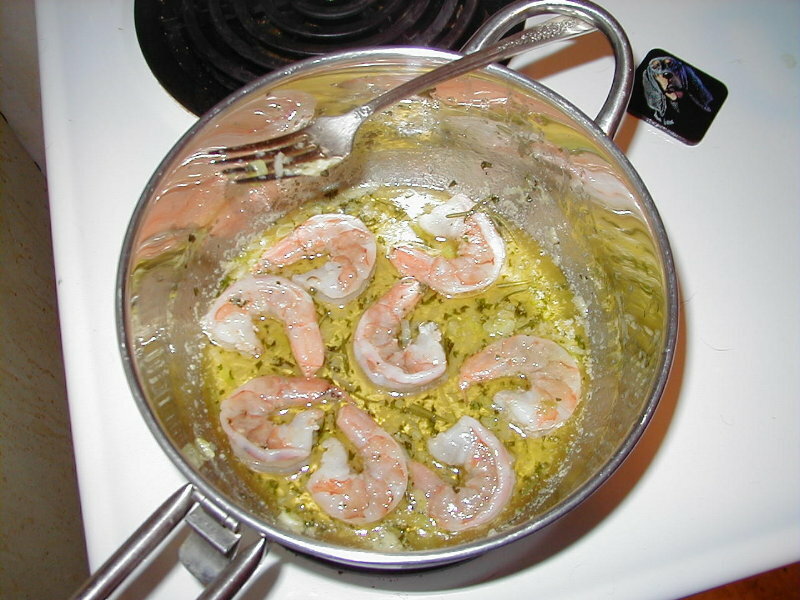 Then add the shrimp and cook slowly. 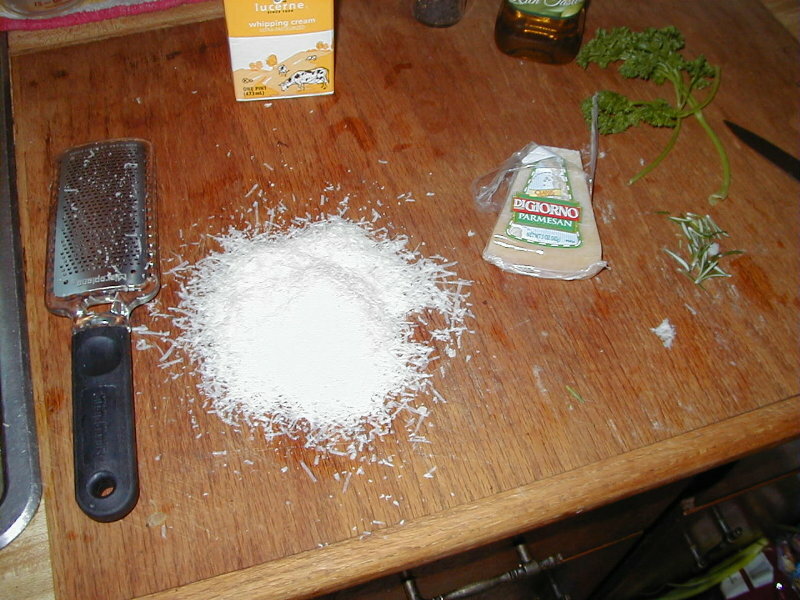 Clean the garlic out of your parmesan grater and grate a big pile of cheese for the alfredo sauce. 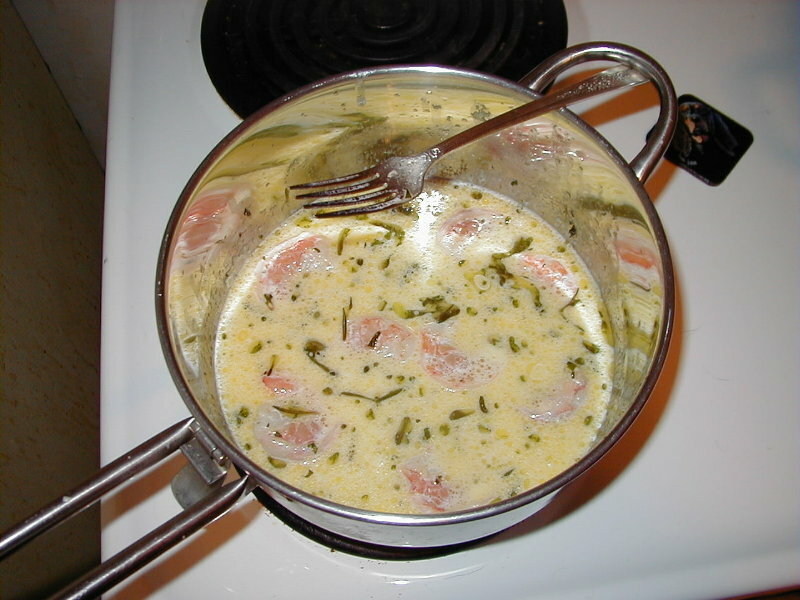 When the shrimp are about half done, pour about a half cup of cream in the saucepan with the shrimp. Keep the heat low and bring it up to a simmer. Keep stirring it. When the shrimp and sauce are hot again, throw in all that parmesan...at least a half cup. Mix that in until its all melted into the sauce. 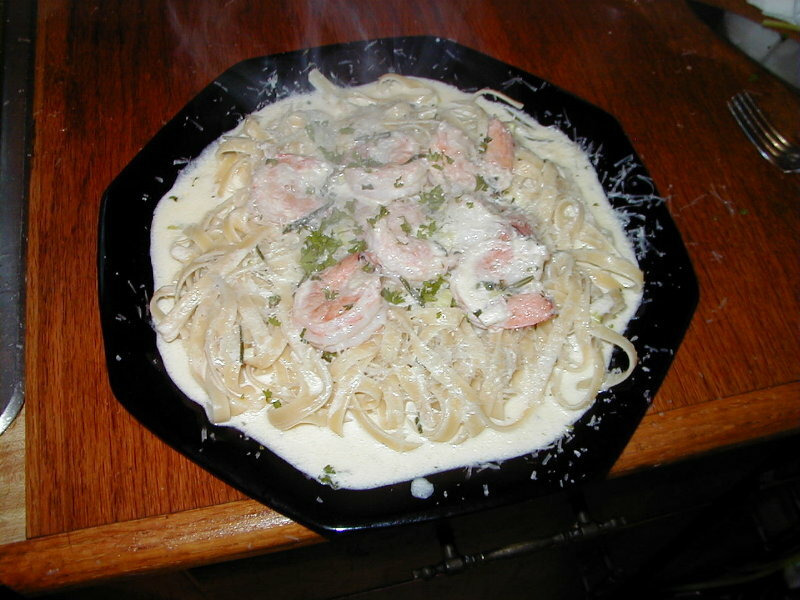 Pour the shrimp and sauce over the fettucinne and garnish with some parmesan and parsley. Not the most attractive presentation, but it was yummy.